The airship made its appearance in Wausau last night about 10 o'clock and was viewed by at least 100 citizens. It came from the southeast, passing over the city going northwest. 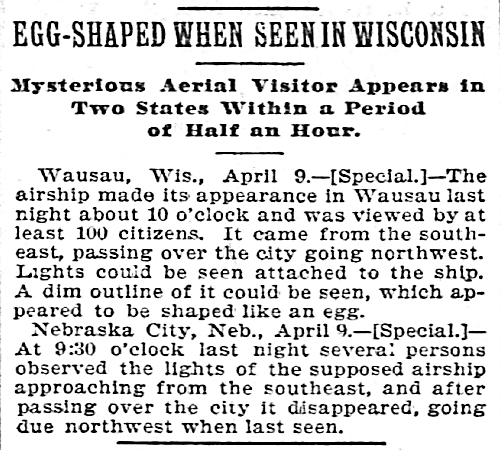 Lights could be seen, which appeared to be shaped like an egg.